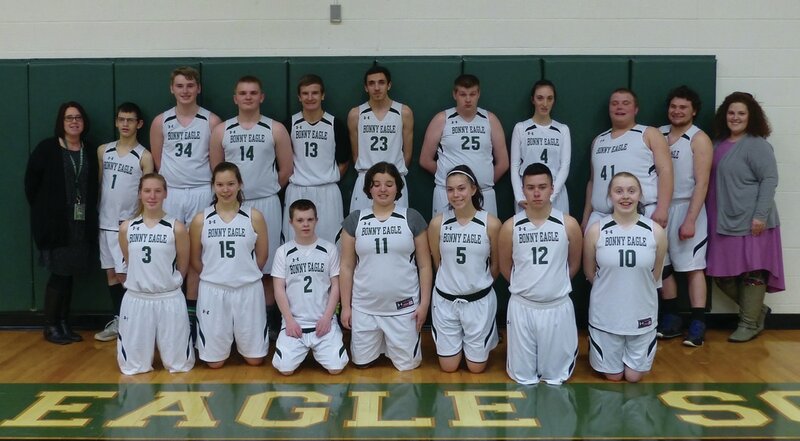 The Bonny Eagle High School Unified Basketball team ended a successful season by making it all the way to the semi-finals of the regional playoffs. The Scots lost to Lisbon in a hard-fought semifinal game on March 17, ending its season with a 9-2 record. According to Coach Paula Pettersen, Bonny Eagle played eight regular season games this year and won seven of them. 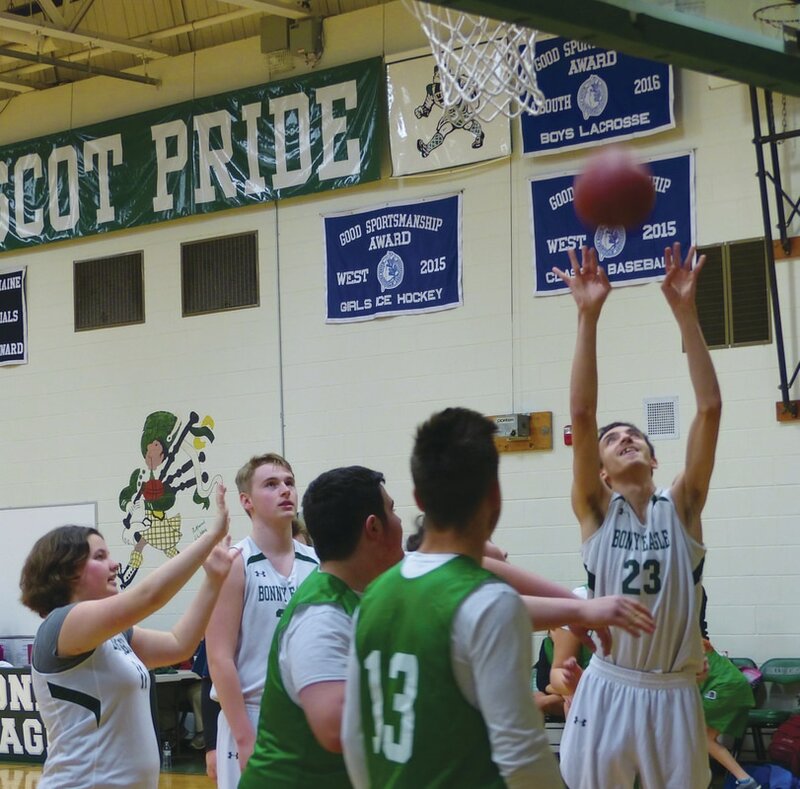 Portland/Deering handed the Scots their only regular-season loss but Bonny Eagle avenged that loss in the playoffs when they faced Portland/Deering again. They won that game by a point, 43-42, to make it to the regional semi-final. 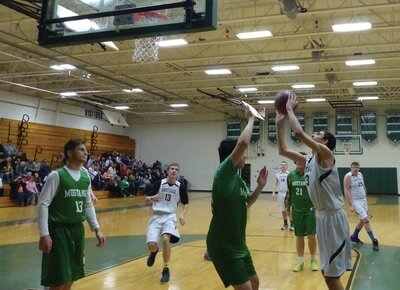 Junior Colbe Lewis sealed the victory with a layup in the final minute. 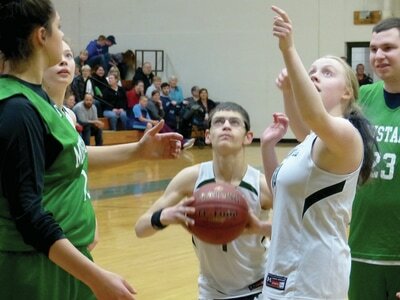 A team co-captain, he led the Scots in scoring this year. 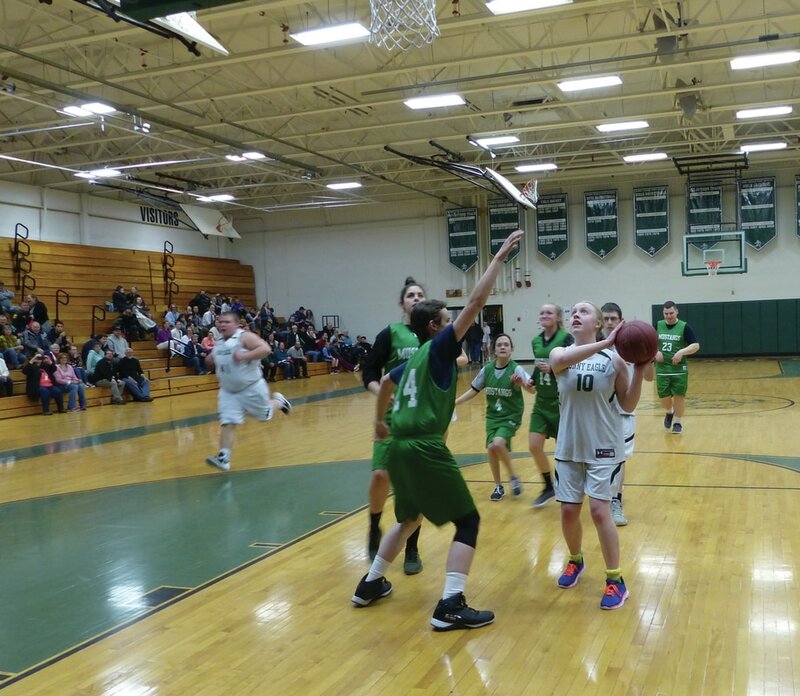 Unified basketball is a co-ed sport co-sponsored by Special Olympics and the Maine Principals’ Association. Teams combine athletes (high school students with developmental disabilities) and partners (students without disabilities). 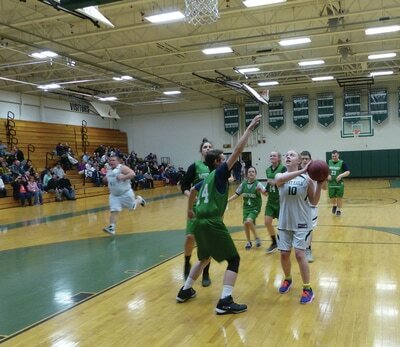 Three athletes and two partners are on the court for each team during the course of the game. 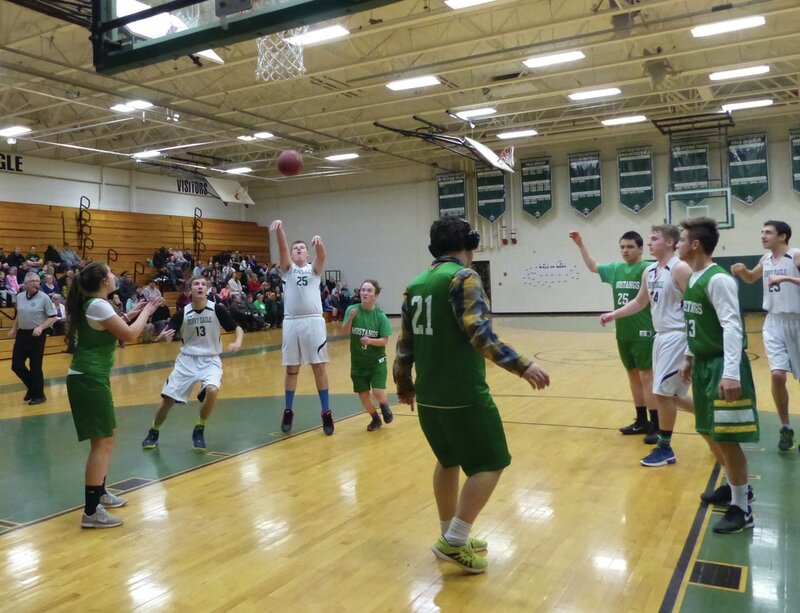 In its third year, the Unified program has 52 schools taking part – with six teams, made up of players from more than one high school. Coach Pettersen actually co-coaches the team with Ms. Amanda Thiele. 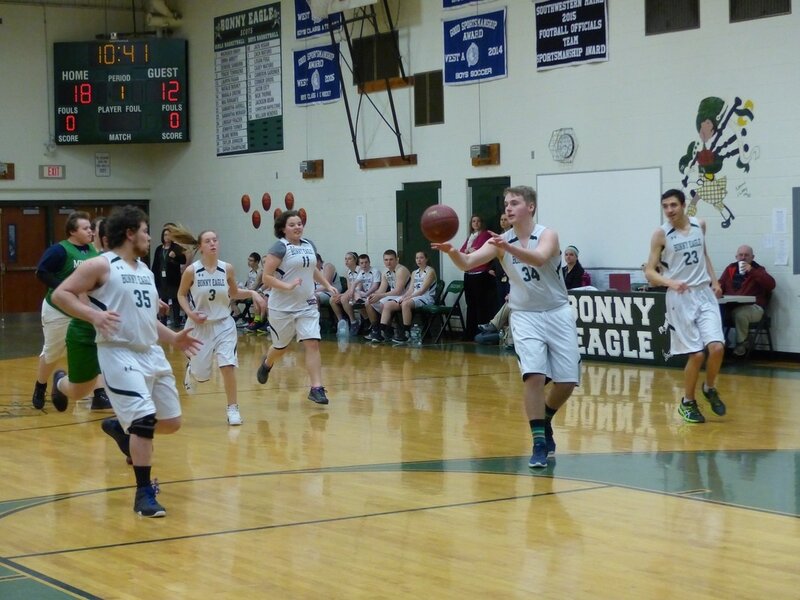 There are 11 athletes and five partners on the BEHS roster. 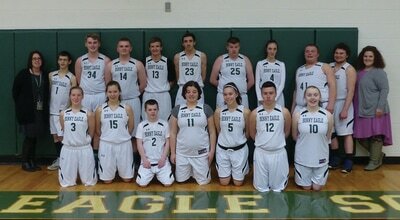 This is Ms. Pettersen’s second year coaching at the high school. She coached a Special Olympics program at the middle school for four years. “Merideth Verrill, the Special Olympics coordinator, and Eric Curtis, the athletic director, approached me to coach as I already had a special relationship with the kids,” she explained. 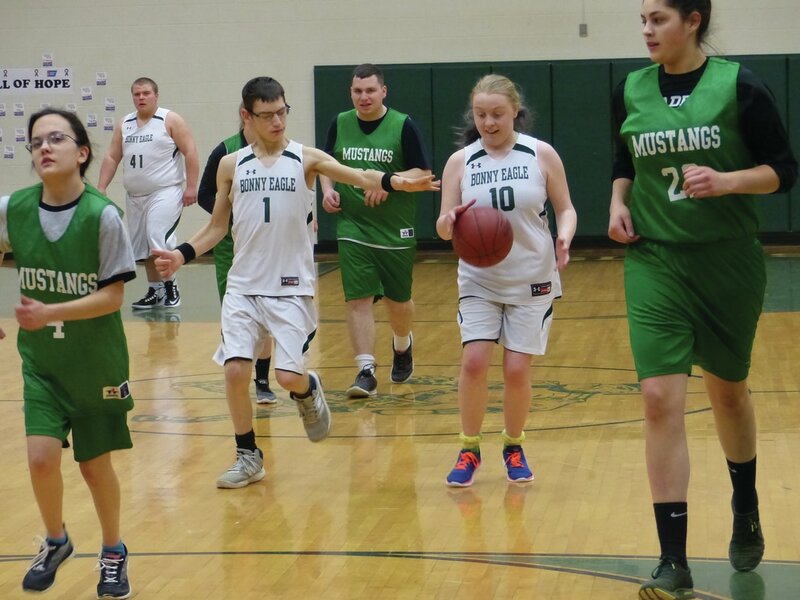 Ms. Pettersen thinks that both the athletes and partners benefit greatly from the experience. 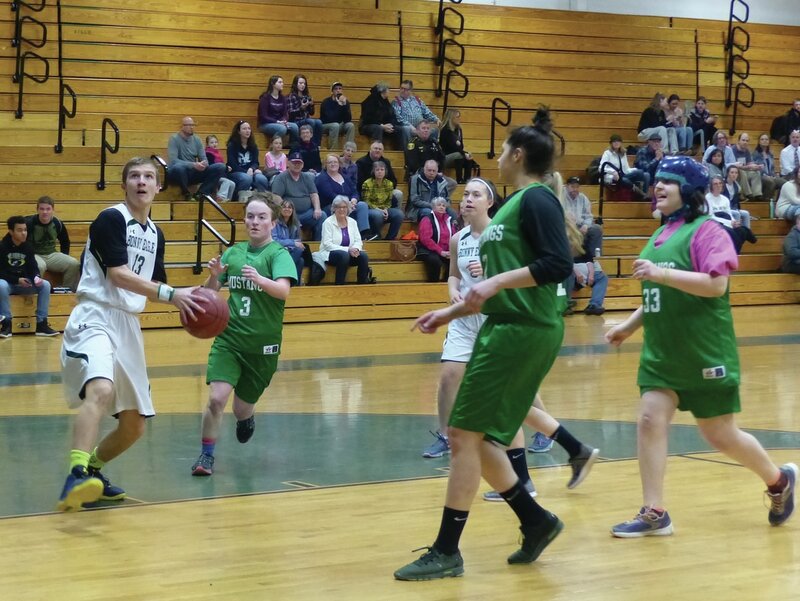 “They feel a part of the community,” she says, noting that there are many fans in the stands for their games.